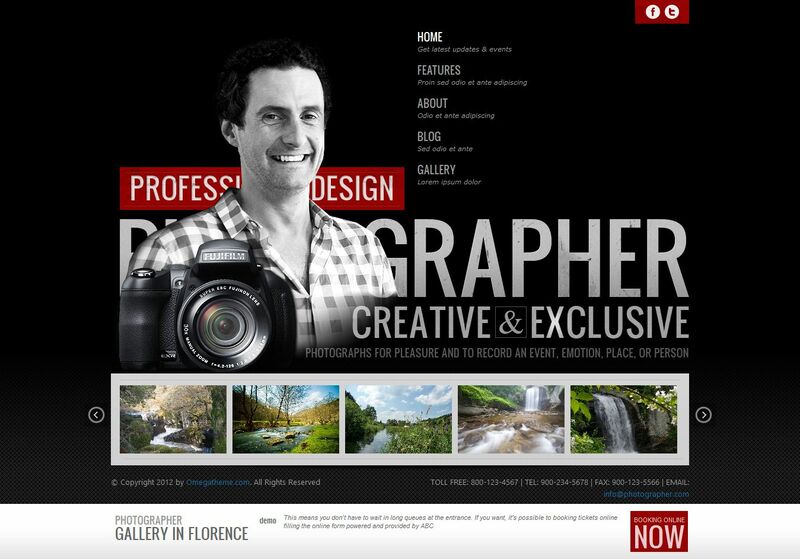 OT Photographer - original portfolio template for Joomla 2.5 from the popular design studio OmegaTheme. Gorgeous design template that is designed in dark colors, perfect for creating stylish portfolio sites with a clear demonstration of work. Integrated support for powerful content management manager K2 and additional styles to it, and significantly increase the potential of the template. Studio Solid Framework platform gives excellent pattern optimization, support for various browsers and mobile devices, as well as fast download speeds. OT Photographer - an ideal solution for sites photo studios or personal portfolio professional photographers.